The fame of this place is spreading. If you're the young lady who was talking to my mate Dan at the weekend about music and mentioned this place out of the blue, this one's for you! Also, if anyone wants signed photos or me to open their local Spar, let me know. My rates are very reasonable. But I digress. Today for your delight and delectation it's The Servants. A cracking C86 band, featured on the tape of the same name and immortalised in Peel Session, The Servants came out of the indie heartland that is Hayes in Middlesex, the band were fronted by David Westlake and Auteurs stalwart Luke Haines (with whom there's an interesting interview here) and Phil King, latterly out of Lush - I don't just throw this crap together you know! There's a nice biog on the Cherry Red site here and here's the usual wiki link, plus a little review of the Best of... album. Here you go then: The Servants - It's my turn, that there is some fine jingly-jangly! And they use the phrase "the light at the end of a tunnel is a train", which is kind of used by Half Man Half Biscuit, so that's nice; and coincidentally they are right before HMHB on the C86 tape. Coincidence? ps. Don't worry, it's not your eyes, I've just realised how blurry the photo of the sleeve is, I'll sort that out at some point. The more observant amongst you may have noticed that I'm never exactly regular or consistent with putting these things up; normally it's a case of when I've got 10 minutes to kill at work, although in this case it's because I'm listening to last night's Gideon Coe show on the 6music iPlayer thing (incidentally, if by some chance you don't listen to this regularly you really should, it's the best show on the radio anywhere) and he played a BBC Session recording that reminded me that I've not put up The Passmore Sisters. So here you go. Continuing the West Yorkshire theme, The Passmore Sisters were from Bradford, formed in 1983 or 1984 and snuck into the indie charts in 1985 with their debut single 'Three Love Songs'. The band put out half a dozen cracking singles and an album before splitting in 1987. The also, importantly, recorded two Peel Sessions; and if you can get hold of "Story Of A Working Man" from the first session in 1985 I'd highly recommend it (Gideon plays it on the Monday 19th January show, so you've got a week to hear it at least). So, as usual here are the links you'll want. There's a TweeNet page, a myspace, this post on the excellent Take The Pills blog and a really good write up on the Foxdude page. The myspace page also offers you a link to download the first album First Love, Last Rites which I'd also heartily recommend. 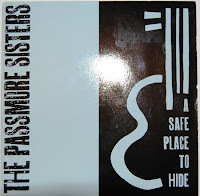 And finally, your aural delight, here's The Passmore Sisters - Safe Place to Hide, which is a cracking bit of indie pop. The Parachute Men - Leeds Station. When I was a lad living in the arse end of West Yorkshire, Leeds seemed like a mythical, exciting, forbidden location that promised all the wonders of the big city that you couldn't get in Huddersfield, the closest proper town, and certainly wasn't available in Holmfirth; where the only thrill you might get was seeing the filming of Last of the Summer Wine or an underage pint in The Nook. Leeds Station after all was the gateway to the Duchess of York, that weird shop that sold goth clothes and Jumbo Records. And it was where David Gedge was from. Anyway, The Parachute Men. 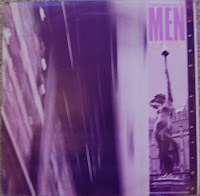 Formed in 1985, released two albums and half a dozen singles and had what I've previously called the most indie of things: A lady lead singer. For all your actual information there's a Wiki page, some guff on the Fire Records page and this short interview. The track above is great, it's a swooping homage (oooh, get him!) to that wonderful feeling you get arriving home when you get to that bit you recognise and know you're almost there. We've all got one, the wife likes the "Welcome to Essex" sign on the M11 for some reason, I've got the "Welcome to Kirklees, Home of Longley Farm" sign on the road over the tops from the M1 into Holmfirth, I used to know a bloke who swore by the "Oldham - Home of the tubular bandage" thing painted on the railway bridge on the way into town from wherever it was. Everyone's got something that tells you you're almost there and you're almost safe. You'll have to excuse me, I'm getting a bit tearful and emotional. So, enjoy the track, have a good old reminisce about home, and with the wonders of new mp3ery you can buy the band's first single Sometimes In Vain here! Isn't living in the future great? Oh, and I've just remembered, the vinyl this is taken from is a white label 12", how indie is that! Happy New Year all, let's see what Santa's got in his sack for me shall well? Why, it's only The Holidaymakers! What a lovely way to start 2009. The song in question is The Holidaymakers - Everyday; the first few chords really remind me of Midway Still's Better Than Before, which is kind of why I put this up as the welcome back post, but also because that jolly old fat man in red was very nice and provided it to me on a flexi disk; a shared flexi with The Nivens no less. Bearing in mind it's a 20 year old bit of PVC will also explain why the middle bit of the recording is so scratchy. The big problem we have here is, I'm afraid, a lack of any useful information about the band. I'm 99% sure they're from Scotland (thanks to the Tweenet page) and from the bit of plastic you can see that at least one member of the band was called Adrian Smith, but let's face it, that's a pretty hard name to get any useful information on from google. We also know that there was a follow-up to the flexi featured called Skyrider, but that's it I'm afraid, bit of a rubbish start to the year but I'm breaking myself back in slowly!